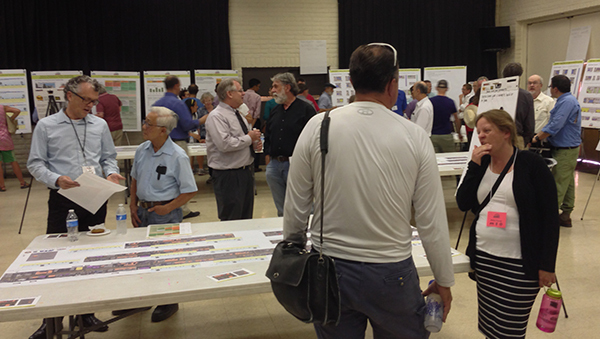 Hundreds of citizens attended a meeting this summer to review plans to widen Broadway Blvd. Two hot button issues will be voted on Thursday, Oct. 9, at the Tucson City Council meeting and study session: widening Broadway Blvd. and approving the feral cat spay/neuter policy, adopted by the county. What you didn’t read about in the Star was the Broadway widening controversy. Prime real estate in the newspaper was devoted a $200,000 spay and neuter program, but there was no coverage on wasting millions to widen a road that doesn’t need to be widened. What’s wrong with this picture? No one will make any money on the cat program; it’s just the right thing to do. But buying up and destroying 19 structures, including some historic buildings, to widen a road based up plans drawn up decades ago– city’s power base wants to side that deal through without further mention because contractors, developers, speculators, and road-widening addicts will make a bundle on that! In a nutshell, the Broadway Citizens Task Force has proposed a six-lane plan for Broadway Blvd., and the Council will vote on that tonight. The Broadway Coalition, Sustainable Tucson, the Tucson Bus Riders Union, and others who favor sustainable living are against the six-lane plan for multiple reasons. (I don’t see the rationale for widening Broadway when current traffic and future projects don’t warrant it, and when no good rationale is being given to do it. Also, citizens and area businesses are fighting hard against the widening and the destruction of historic buildings.) Tucson’s power players have an addiction to widening roads, and it doesn’t matter how destructive it is to families, businesses, the city budget, or Tucson’s historic sense of place. Broadway will be discussed at 1:30 p.m. study session and the 5 p.m. meeting. Details and links from both groups below. The Broadway Project Team is pleased to share that, after 2 years and 3 months and MUCH consideration, the Broadway Citizens Task Force has developed recommendations about the Broadway alignment. The recommendations will be going to the Mayor and Council on October 9 for their approval. Ten (10) of thirteen (13) members support moving forward the Preferred 6-Lane including Transit Alignment, which weaves to the north and some to the south, and includes transit, bike lanes, sidewalks and landscaping. The alignment will also have enough roadway width to accommodate future mass transit, such as streetcar and/or bus rapid transit. This is a significant milestone in the project schedule, and signals the transition into the refined technical design process – a key step to achieving our construction deadline goals of 2016. The full recommendations report includes the recommendations of the majority of the Task Force, and also shares the perspectives of those in the minority and is available online at: tucsonaz.gov/broadway. If you cannot attend but want to share your comments with the Task Force and the Project Team, please email them to: broadway@tucsonaz.gov. The next Citizens Task Force meeting will be on Thursday, October 23, at 5:30 at Child & Family Resources (2800 E. Broadway). The agenda and materials will be forthcoming. On Thursday, October 9, the Mayor and Council in study session (at 2 o’clock) are being asked to recommend a roadway alignment for the Broadway Project. The Project Director is asserting that a 6-lane road including 2 lanes for transit is the recommendation of the Citizens Task Force (CTF). The CTF at its August 28 meeting had 9 people in favor of the 6-lane road (out of 13 members). The report to the City Council includes minority reports from 4 members. This is a critical decision point as to how the project goes forward. The Broadway Coalition has been meeting with the Mayor and Council Members to express our concern for the proposed alignment. For instance it would destroy 19 historic buildings in the Rincon Heights Historic District. The nominal width of the roadway is 118 feet, but as a CTF memo points out only 9 % of the proposed roadway is at 118 feet; all the rest is wider (due to right hand turn lanes, left hand turn lanes, etc.). The issue of what kind of transit would be developed in the transit lanes and when is also up in the air. There is no study analyzing the different kinds of transit (streetcar, light rail, rapid bus transit) and whether the lanes should be in the middle or curbside. Staff had put forward an ordinance to authorize the City to begin to acquire property in the alignment, but that has been withdrawn. We suspect it is postponed until the next meeting, but we will keep you informed. A map of what is proposed to be acquired is on the regular session agenda to be found on City Clerk’s page, Mayor and Council Meetings, Third addendum for regular meeting. Click on agenda item and files for that item will appear on right-hand column. You can still register your support for keeping the roadway narrow, saving historic buildings and backing economic vitality of the Sunshine Mile by signing the online petition at http://www.sustainabletucson.org/2014/08/BC-online-petition. We already have over 600 signatures and would love to present the Council with 1000. Broadway Coalition members will be in the audience during the study session with signs showing our neighborhoods or organizations. COME AND JOIN US. We will also be in the audience for the Call to the Audience in the regular session. You might want to watch the meeting on Channel 12. Margot Garcia For the Broadway Coalition. P.S. we have written a response to the Project Director’s memo regarding the CTF’s “recommendations.” Send me an email if you would like a copy of this document. What’s wrong with this picture? The Broadway Citizen’s Task Force has not yet decided on the width of the roadway, so there is no way to know how many or if any at all, properties need to be purchased. Please let the Citizen’s Task Force complete its work! And in fact, at public hearing after public hearing, Tucson citizens have been saying loud and clear: the best way to “Improve” the existing Broadway is to keep the new Broadway within the same footprint as the existing Broadway. So there is no need to acquire these parcels! 3. Historic buildings that have helped to define the Tucson sense of place and the “Sunshine Mile” will no longer be scheduled for an unnecessary demolition. You know, once an historic building is bulldozed, it cannot be rebuilt. Just look at the TCC parking lot for an example. Haven’t we learned yet from our past mistakes? Thanks to changes in how much young people drive, construction of the Aviation Highway, and other factors, traffic studies show that traffic counts are going down on Broadway, not up. Despite these factors, after two years of work, after four public hearings where they were urged by hundreds of citizens to do so, roadway designers have still not produced a single alternative design which keeps our buildings, businesses, and sense of place intact. We want a beautiful Broadway, a safe Broadway, a Broadway with a streetcar, not a Phoenix freeway. How long must we wait to see this design that we have been asking for for two years? Please remove Item number 9 from the City Council agenda for the October 9. Please allow the Citizen’s Task Force to complete its work without being pressured to accept a roadway fit for Phoenix, not for Tucson. (B) In accordance with the overwhelming public sentiment expressed at all four project “open house” events, these designs must enhance the walkability, character and economic vitality of the project section of Broadway, and retain robust connectivity between all the neighborhoods adjacent to and adjoining Broadway. (C) To better ensure accountability and transparency, the Office of Integrated Planning shall oversee this process. * Brief overview: Mayor and Council will discuss the proposed Broadway road widening during study session, and we will address it during the call-to-audience segment of the regular meeting. During these events, we will sit in the audience holding signs showing support for Communities, not Corridors. Our silent but visible presence will convey to Mayor and Council — and to folks watching the meetings on teevee — that we expect our representatives to be in step with Tucsonans citywide who put more value in investing in our communities than in unnecessary damaging boondoggle roadway projects. Communities, not corridors. More data (and editorializing) is below, followed by links to some pretty good reading. – When 74% of voters stay home from an election, there is no “mandate”: The Regional Transportation Authority (RTA) ballot measure passed in 2006 with 60% of the votes, meaning only one in six (60% of 26% is ~16%) eligible voters approved it. This would not appear to be overwhelming enough demand to justify spending $74 million on a destructive and unnecessary project. – “But we promised” is not always a good reason to follow through: RTA lawyer Thomas Benavidez has stated that the “[RTA] Board [may] react, efficiently, to changing circumstances …”. Circumstances have changed since 2006; it is time for an efficient reaction, not dogmatic insistence on keeping ill-made promises. – RTA’s extortionate stance (“do what we say or else”) defies reason: The Broadway project area lies entirely within Tucson city limits, used mostly by City residents. The City, therefore, is uniquely qualified to determine what form Broadway should take in order to better serve the needs of those who use, live near, and do business on it. If the City can do this with a less expensive and less damaging design than what the RTA has proposed, the City’s design, however small in scope, should be implemented. – What are we really getting? Negligible commute time savings: The 150-foot eight-lane plan purported to shave 80 seconds off the average vehicle travel time from Euclid Ave to Country Club Road. With an estimated project cost of $74 million, that’s almost one million dollars for every second that may or may not be saved when the final design is implemented. – What do the impacted neighbors get? In a word, nothing: The time savings above will benefit those driving THROUGH the area, not those who are IN the area. Adjacent neighborhoods will lose connection with each other, traffic noise and other impacts will increase, and one of Tucson’s last unique walkable human-scale commercial areas will be diminished. – The public has spoken out on this issue. Loudly and repeatedly. At all four (4) project open houses, public sentiment has overwhelmingly supported historic preservation, sense of place, pedestrian friendliness, and maintaining the current roadbed footprint (or as close to it as possible). – Divide and conquer, part 1: “either/or” instead of “both/and”: The roadway design options so far presented generally depict a zero-sum game, e.g., superior pedestrian amenities OR preserving buildings. We have seen creative reconciliation of historic preservation, business, pedestrian, bicyclist, and transit interests in projects elsewhere, why not here? – Divide and conquer, part 2: isolation breeds distrust: Overzealous interpretation of open meeting laws has the unfortunate effect of isolating CTF members when they should be spending more time learning each others’ interests and constituents’ needs so that the design that finally eventuates will better serve the entire community. – “If you find yourself in a hole, stop digging”, part 1: less expensive options exist: If the object of the Broadway improvement game is to increase safety and decrease throughput time, this can be achieved by speed limit reductions (to promote slow and steady flow), signal synchronization, and modest widenings for turn lanes and bus pullouts at certain intersections. – “If you find yourself in a hole, stop digging”, part 2: more useful expenditures exist: Past traffic projections have not come to fruition and vehicle usage trends indicate that future roadway needs will continue to be modest. Why are resources being squandered on a project vastly greater than can be justified instead of being redirected to other projects that are truly useful? – Historic neighborhoods at risk: National Register Historic District status depends on how many of a district’s buildings meet NRHD criteria. The proposed alignment would require that almost every single building on the north side of Broadway between Warren and Mountain Avenues, many of them historic or contributing, be demolished. This could impact Rincon Heights’ NRHD status. – Disproportionate burden, disparate impact, dislocated benefits: The convenience of commuters is being prioritized over the quality of life for adjacent neighborhoods and the residents who live, work, play, pay taxes, and spend money on Broadway. Yet these neighborhoods and residents alone will bear the impacts. – When an experiment inflicts harm on its test subjects, it must be halted: The past sixty or so years have seen the rise and now the fall of the putting- cars- first experiment. Automobiles have brought many benefits, but they have also brought many irreparable harms and do not warrant being the sun around which all other transportation considerations revolve. – How many times must we be taught the same lesson before we learn it? Tucson’s past is riddled with destruction of historic structures and other resources in pursuit of the latest new shiny thing to bring promises of prosperity (for some). Too often those promises have proven to be unworthy of the sacrifice. – In sum, we have before us the opportunity to grow an existing community asset into a gleaming gem to which we can all point with pride: Prudent investment of resources into enhancing what already works — historic character, walkability, human scale — instead of inflicting off-the-shelf quick fixes to non-existent problems will require creativity and conviction, but reap manyfold benefit. The following provisions apply to the overall design and development of major streets identified in the Plan. 9. Effects on neighborhoods and historic districts shall be considered in determining the impacts of street widenings, new transportation routes, and reclassification of streets. SUCH PROJECTS SHALL BE SENSITIVE TO AND COMPATIBLE WITH THE SPECIFIC NEIGHBORHOODS AND HISTORIC DISTRICTS THEY PASS THROUGH AND SERVE (GP, Section 3, Policy 4.B. and Section 10, Policy 1, N).” [emphasis added] Both Rincon Heights and Sam Hughes Neighborhoods on the north edge of Broadway are National Register Historic Districts. Further the goals for scenic and gateway routes through public actions and monitoring of development regulations. Both Rincon Heights and Sam Hughes Neighborhoods on the north edge of Broadway are National Register Historic Districts. Plans presented by staff to date would require demolition of historic and eligible/ contributing structures, which constitutes an intrusion on their character. (A) Walk San Diego and the California Chapter of the American Planning Association in San Diego, _From Policy to Pavement: Implementing Complete Streets in the San Diego Region_, 21-JUN-2012, page 18 (24th of document) — http://www.dot.ca.gov/hq/tpp/offices/ocp/complete_streets_files/APA_Report_Final.pdf — (~1.64MB, 86 pages, PDF format) contains an overview of the conversion of a section of La Jolla Boulevard in San Diego from a ho-hum drive-through road to a wildly successful drive-to destination. Note that vehicle throughput time did not notably diminish despite (or perhaps because of) the many bicycle, pedestrian, and other safety features installed. (B) Lisa Gray’s “Gray: The road diet”, _Houston Chronicle_, 01-MAR-2012 —http://www.chron.com/life/gray/article/Gray-The-road-diet-3374851.php — includes photos (in the slideshow widget) of La Jolla Boulevard in the Bird Rock neighborhood of San Diego before and after an intensive road diet (photo 5 is before, photos 6, 9, and 10 are after). The caption under photo 9 states that traffic throughput speed may generally not have been impeded despite the road diet’s substantial traffic calming, pedestrian, and bicycle facilities. _Dallas Morning News_’s map of the South Dallas project area — http://transportationblog.dallasnews.com/files/2012/08/sm-wright-project-area.jpg — (~482KB, 699 x 939 PX, JPEG format) shows that US-175, if rebuilt as six lanes, would isolate a triangular corner of the neighborhood also bound by I-45 and the new US-175/I-45 connector. Similarly, the Miles and Barrio San Antonio neighborhoods are currently cut off on the east by Kino Parkway and the south by Aviation Parkway; widening Broadway to six lanes would effectively isolate them from the rest of midtown. (D) Florida Department of Transportation, “Community Impact Assessment Handbook”, 22-NOV-2000 — http://ntl.bts.gov/lib/26000/26500/26541 — for table of contents (all chapters in PDF format, largest is less than 300KB). Chapter 5, “Social Impacts”, opens thusly: Social impacts of a transportation project are impacts that disrupt the normal daily functions of a community or neighborhood. Typically, it is the broader region or jurisdiction that enjoys the social benefits of a transportation project while the social impacts are borne by the local community — particularly the neighborhoods immediately adjacent to the transportation project. Therefore, social impact assessment is often conducted at the neighborhood level. (A) Andrea Kelly, “Road Issues Going to Voters Tuesday”, _Arizona Daily Star_, 15-MAY-2006 — http://www.eller.arizona.edu/docs/press/2006/05/ArizonaDailyStar_Road_issues_going_to_voters_Tuesday_May14_2006.pdf — (~109KB , seven pages, PDF format) lists the projects on the ballot, and the cost for each. — http://www.insidetucsonbusiness.com/news/kozachik-sees-flaws-in-rta-s-broadway-widening-wants-chance/article_4853046c-7447-11e1-afd8-0019bb2963f4.html?mode=print — discusses flaws in justifications given for widening Broadway. (C) Tim Vanderpool, “More Roadway Wordplay”, Tucson Weekly, 08-AUG-2013 —http://www.tucsonweekly.com/tucson/more-roadway-wordplay/Content?oid=3851851&mode=print — RTA lawyer Thomas Benavidez states “[RTA] Board [may] react, efficiently, to changing circumstances …”. On October 9th, the Tucson Mayor and Council are preparing to approve a 6-lane option with transit alignment for the Historic Broadway Redesign Project. The M/C will hear that this will entail widening Broadway in order to provide enough space for high-capacity transit in the indefinite future. There has been NO DEFINITIVE ACCOUNT presented which shows that widening is necessary. Please sign this Broadway Coalition petition to support enhancing our historic place. Please sign this petition to oppose unnecessary widening the right-of-way which will cause unnecessary destruction, costs, and lost tax revenue. A vibrant future for Historic Broadway is at stake. We will then report the community’s wishes to elected officials. This entry was posted on October 9, 2014 by Pamela Powers Hannley in Arizona, Capitalism, City Council, democracy, Free Speech, Historic architecture, Jonathan Rothschild, Karin Ulich, Media, organizing, Paul Cunningham, Regina Romero, Shirley Scott, Steve Kozachik, sustainability, Tucson and tagged Sunshine Mile, sustainability, Tucson.